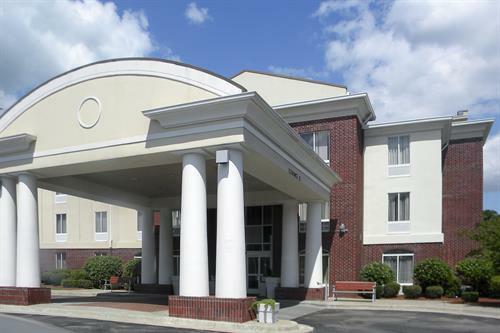 Welcome to the Country Inn & Suites By Carlson®, Ruston, LA just off I-20 at Exit 86, an easy drive from Louisiana Tech and Grambling State universities. Located in the city’s attractive historic district, our hotel puts you near unique shops like Country Basket and eateries like Monjuni’s Italian Café. After a day of work or play in Ruston, work up a sweat in our fitness center, watch a favorite cable show and snuggle down in your plush bed. In the morning, you can have a coffee in your room and watch the sun come up over the forest quietly surrounding our hotel. Draw up to the table for the complimentary, hot breakfast where we offer crispy waffles, hot eggs and tangy yogurt.